New York has seen a significant increase in drug-related deaths over a recent six year period, officials report. From 2010 through 2015, a report showed deaths by overdosing increased by 71 percent. This issue is more pronounced in the New York City suburbs and upstate. Westchester County was ranked fourth among the state’s largest counties for increase in per-capita drug deaths over the six-year period. “The opioid epidemic has us locked in a deadly battle, and the enemy grows deadlier every day,” Westchester County Executive Rob Astorino said. Since 2012 Governor Cuomo and the state’s legislature has been passing legislation to make access to opioids increasingly difficult and promote safe use of these drugs. The state is cracking down on opioid abuse and wants to expand access to the overdose drug, Narcan. Academy Award winning filmmaker Jonathan Demme, a longtime resident of Upper Nyack, died. The 73-year-old known for directing “Silence of the Lambs” died Wednesday morning in his New York apartment from complications from esophageal cancer. “Silence of the Lambs” was a box-office hit and led to several sequels and TV spin-offs He also directed the Talking Heads concert film “Stop Making Sense,” “Philadelphia” staring Tom Hanks, and “Beloved” staring Oprah Winfrey. He was known for his compassionate take on characters and using dramatic close-ups. On April 21, the Ramapo Police responded to the driveway of a residence in Montebello on a report of a bear. The female black bear was eating out of one of the garbage cans nearby the house. The homeowner could not leave the house, due to the bear being outside. 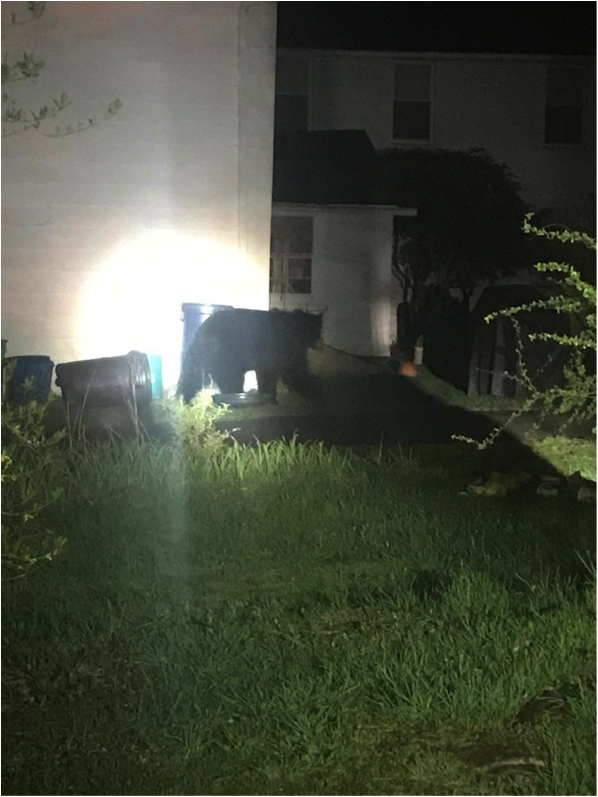 “We were all in the living room and my brother heard some noises and all of a sudden we opened the window right here, the curtain window, and we see this huge bear in the garbage can…” said resident Chase Natalie. Eventually the bear did wander off but. Police said that any type of food will attract bears. “I was watering my plants at midnight, what can I say, and I heard a rustling through the woods and I looked up and not 20 feet away from me was this massive back bear just looking at me,” said Montebello resident Elf Ahearn. Retired 5-time World Series Champion and former New York Yankee Derek Jeter is a part of a group led by former Florida Governor Jeb Bush that has reached an agreement to purchase the Miami Marlins from current owner Jeffery Loria for 1.3 billion dollars, according to the Miami Herald. Jeter, now 42, has wanted to own a team for a while now. Any sale of a major league team has to receive at least a 75% approval rating from the other MLB owners. Loria bought the team in 2002, for only $158 million. Paul McCartney announced Tuesday that he will perform four times in the Tri-State Area early this fall. He will play at the Prudential Center in Newark Sept. 11, Madison Square Garden on Sept. 15, Barclays Center in Brooklyn on Sept. 19, and Nassau Veterans Memorial Coliseum on Long Island on Sept. 26. Following the lead of federal law enforcement, New York Governor Andrew Cuomo launched an anti-gang initiative to crack down on MS-13 violence on Long Island. Federal and local law enforcement partners will gain increased access to state intelligence to fight against the gang. Long Island’s New York State Police Troop L will expand patrols in Brentwood and Suffolk County. “MS-13 are thugs, that’s what they are, they are thugs,” Cuomo said. On Wednesday April 26, Governor Andrew Cuomo announced he has signed legislation to invest $2.5 billion in clean water infrastructure and water quality protection. This includes a $75 million rebate program to incentivize replacing and upgrading aging septic systems. There will also be “green” infrastructure funds, dedicating $110 million for source water protection, including land acquisition. Municipalities across the state can also apply for $255 million in grants for drinking water and clean water infrastructure projects. The fiscal year 2018 budget also includes additional projects to improve water quality on Long Island. The American Heart Association praises Sullivan County for restricting tobacco product sales to anyone under 21. It’s one of nine counties/localities in New York to take this step toward saving lives according to the AHA. The AHA believes crossing county boarders to purchase products still remains an issue. According to the NYS Department of Health, almost 11,000 people under 18 become new daily smokers annually. One report showed if youth reach 21 without smoking, the chance of then ever picking up the habit plummets to 2 percent. Westchester County is considering increasing their tobacco product sales to 21 years old. Rockland County recently banned the sale of tobacco products in supermarkets and pharmacies. French voters took to the polls on Sunday to choose their next president. Emmanuel Macron and Marine Le Pen will go to a runoff vote to become the next leader of France. Macron, newer to the political landscape and Le Pen, a far-right stronghold, have very different views on the future of France. Macron supports a movement campaigning on a pro-European Union platform and overhauling rules of the French Economy. Le Pen’s support comes from those who oppose the EU and want more “France first” policies including stricter immigration, limits on the spread of Islamic culture and protection of French industry. Experts believe the vote showed a fundamental divide in France – with clashes over EU involvement and economics. Neither candidate falls within the post-war political status quo that has dominated France for 60 years. The Federal Communications Commission (FCC) Chairman announced his plans to roll back net neutrality, a very controversial topic for this federal agency. He wants to give regulatory jurisdiction of broadband providers back to the Federal Trade Commission (FTC). Some have argued the FTC would not regulate as strictly as the FCC. The net neutrality rules, formally referred to as the Open Internet Order of 2015, set internet service providers restrictions prioritizing certain kind of web traffic. The rules were aimed at leveling the field between companies. Broadband companies including AT&T and Charter Communications expressed support for the new direction. Some companies and Republicans in the FCC believe net neutrality is the government overstepping boundaries and increasing regulations that stifle innovation and investment. Congress Republicans also voiced support for this FCC decision. If this proposal passes, public comment will be available.